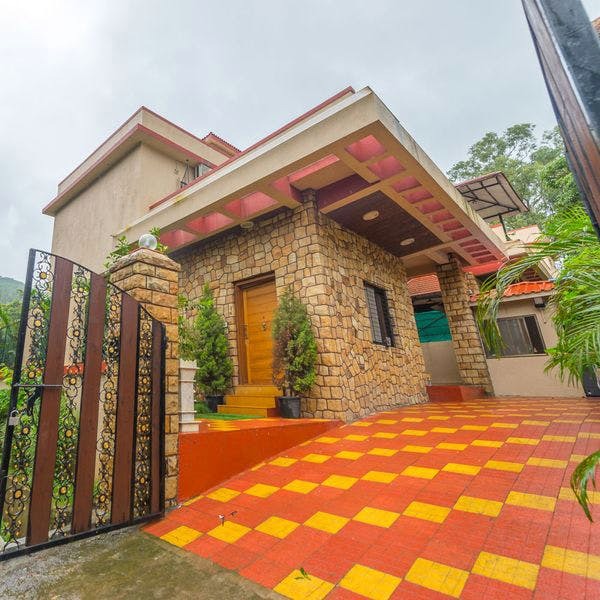 Located on Old Khandala Road, V Resorts Lonavala is a 4-bedroom villa with a swimming pool, a terrace with mountain views and a manicured lawn. If you're looking for a quiet, serene vacation with the family over a long weekend, V Resorts Lonavala with its homely ambience and top-notch facilities is perfect for you. Ranging between INR 4000 and INR 5730, there are two kinds of rooms here - the super deluxe room and the deluxe room. Every room is well-appointed with cupboards, king-size bed, a dressing table and AC and offers stunning green views. While you can book the rooms without meals, we recommend you add the meals. We hear the place serves authentic home-cook Maharashtrian food for lunch and dinner. During your stay at V Resorts, don't forget to explore Lonavala. We hear Kune Falls is just 10 minutes away from the villa and there are some great forts in and around the area too.